Hello there! 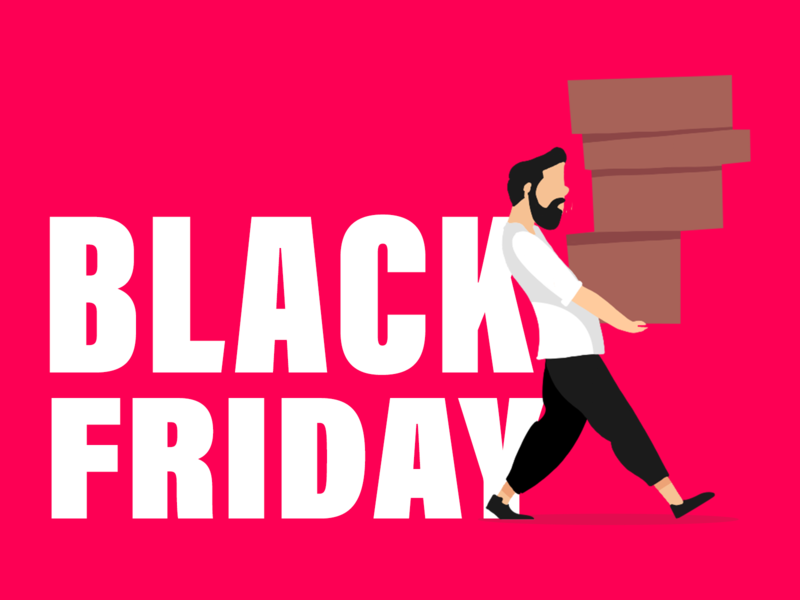 Black Friday and Cyber Monday are coming! These two days are the favorite days of shopaholics all around the world. 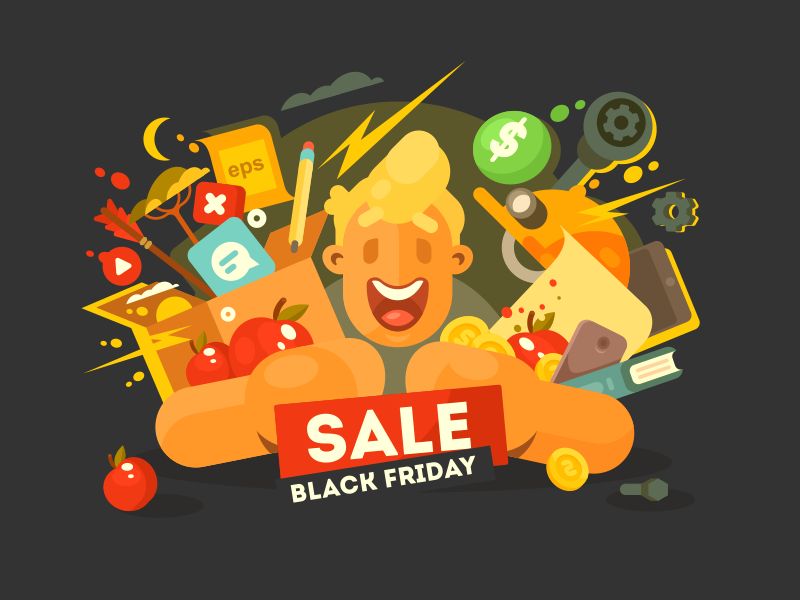 Black Friday Sale is a massive sale of November and the whole year when people can buy everything with great discounts. I have prepared a surprise for you and created a list of the best illustrations and animations for this Big Day. Hope you will like it as much as I do. Enjoy it! Even characters of horror movie are under the effect of Black Friday. 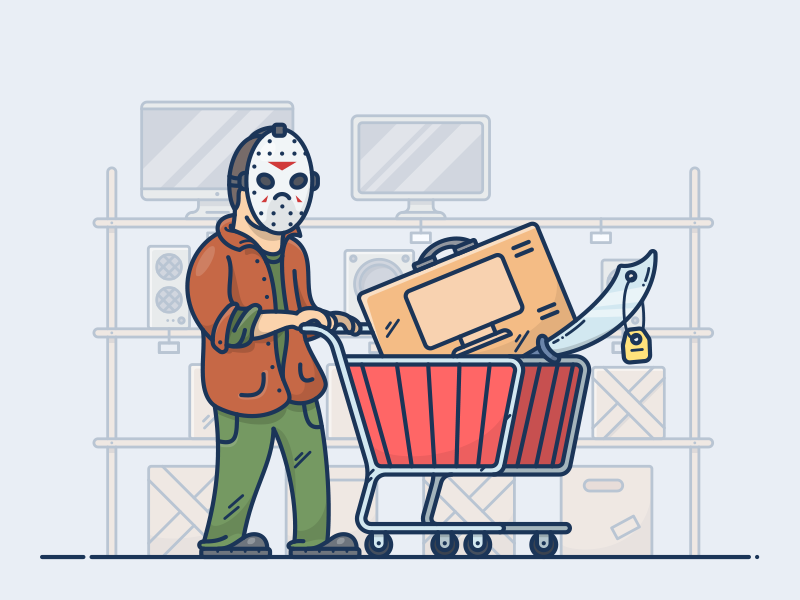 It looks like Jackson has lost his machete and he really needs to buy a new one and a couple of TV’s as a small bonus 😎 The main hunter for discounts! This bright animation reflects the reality of Black Friday. People are ready to buy almost everything with the lower prices even if they don’t need it. It is hilarious! Streets and malls will be filled up with such people as ones depicted in the animation. Buyers all over the world are ready. 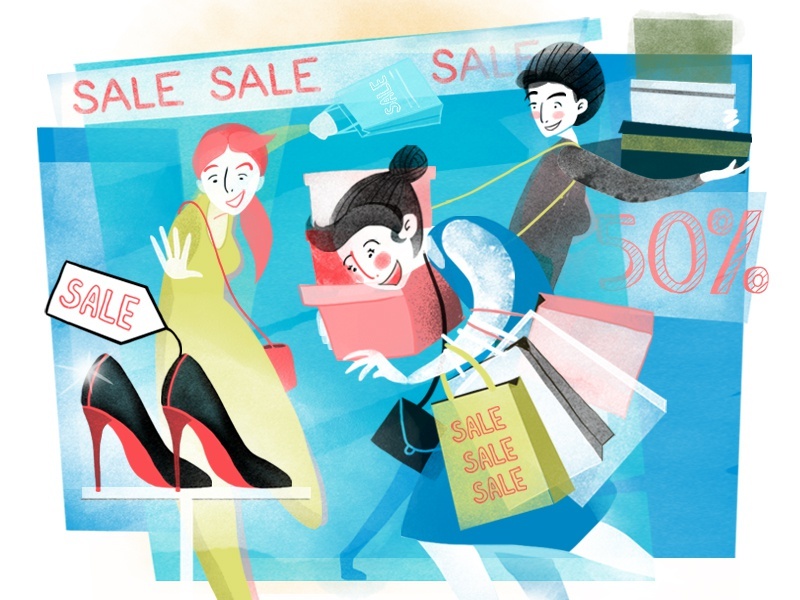 This artwork shows that there is no necessity to go out for shopping when you are able to buy everything online. Just relax and buy whatever you want chilling on the sofa. Icon designers have created the special icons for shops and online stores to attract attention of the consumers. These icons are quite nice and they represent the mood of Black Friday. If you need to get suitable icons for this event feel free to contact these guys. This shot is so much minimalistic! At the same time everything is understandable without too much words and details. Let’s wish this guy to make some great deals on Black Friday. I really like this image because you can combine together two things: meeting with your friends and shopping online. It is perfect, isn’t it? I will definitely meet my friends at the cozy coffee shop and we will start Black Friday! Here is one more set of icons but they are neon ones. They look majestic and remind me of typical American advertisements style. OMG, this one is the real peace of art! The author’s sense of humor is incredible! Discounts will appear everywhere and the social media will promote them more and more. 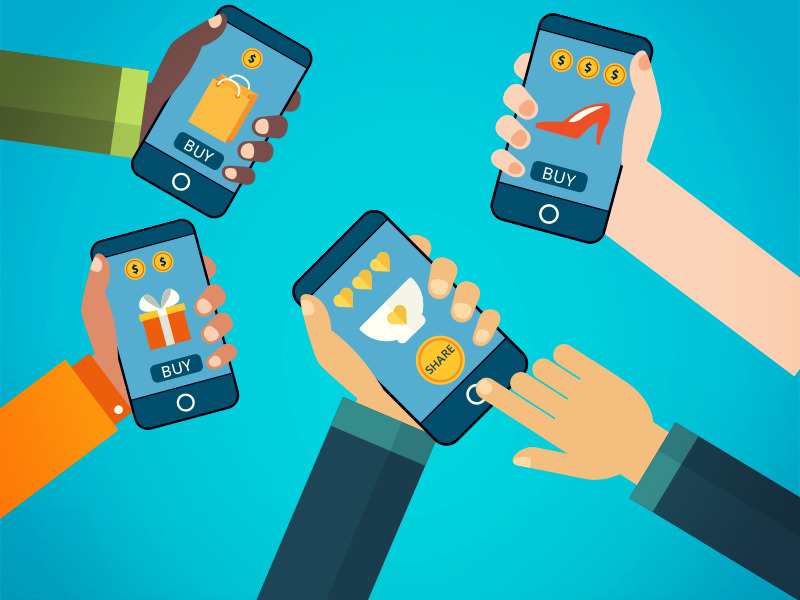 Will you be tired of this intrusive advertising or continue shopping? This guy is so happy because of his purchases. Congrats! I especially want to underline the unusual mix of dark background and colorful details. Black Friday Fever affects everyone. Just look at these women enjoying the moments of shopping and ready to buy everything. Let’s start hunting for discounts! I hope you enjoy my list of the most incredible and unique illustrations. Don’t forget to share your thoughts about Friday Sales below in comments.